Radio is much more than a box that dishes out tunes and talk. If the medium is given a chance, it can pull off wonders. From fund raisers to sparking a movement, there is a huge space for social initiatives on the frequency. Today, the medium is pushed to spread the worda��be it a political partya��s appeal, raising money for a cause or searching for a lost pup. But radio can evolve from being a commercial dud to a sensitive platform. However, how often radio stations indulge in social causes is another topic altogether. On a yearlyA� average, not more than two or three initiatives are undertakena��though India can really benefit from social awareness campaigns, given the fact that there are scores of underprivileged individuals in our country. In Chennai, there have been quite a few social campaignsa��though not all hit the spot because they werena��t executed the way they should have been. The campaigns that stood out were those that caught the listenersa�� imagination. Radio Mirchi, in their signature style, came out with Oodhu Drunken Drive (a parody on Oppa Gangnam Style), aimed at educating riders and drivers not to hit the bottle before getting behind the wheel. Hello FM contributed to the underprivileged with their premiere campaign, Petral than Pillaya, which has been a constant over the last six years. The goal is to provide medication to the statea��s needy children who are suffering from HIV and AIDS. Hello FM and the PTP Trust joined hands to fire this thought and have achieved tremendous response and success. 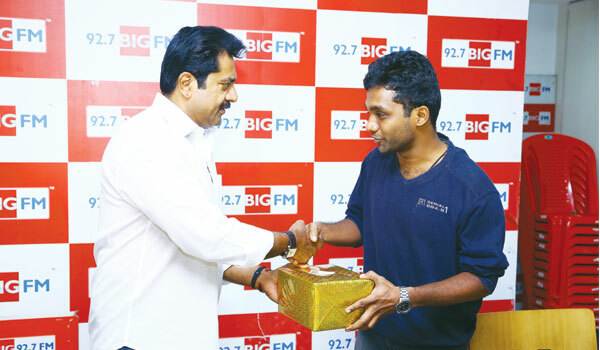 Big FM is the most recent to join the partya��with their Kodu Kondadu campaigna��where the station, NGO Bhumi and actor Sarath Kumar are collaborating to provide underprivileged children toys, books and stationery to support and hone their talents and skills. A few more noble movements like this, on a consistent basis, will surely light up the soundscape, giving it the much-needed mature image. See you next week!